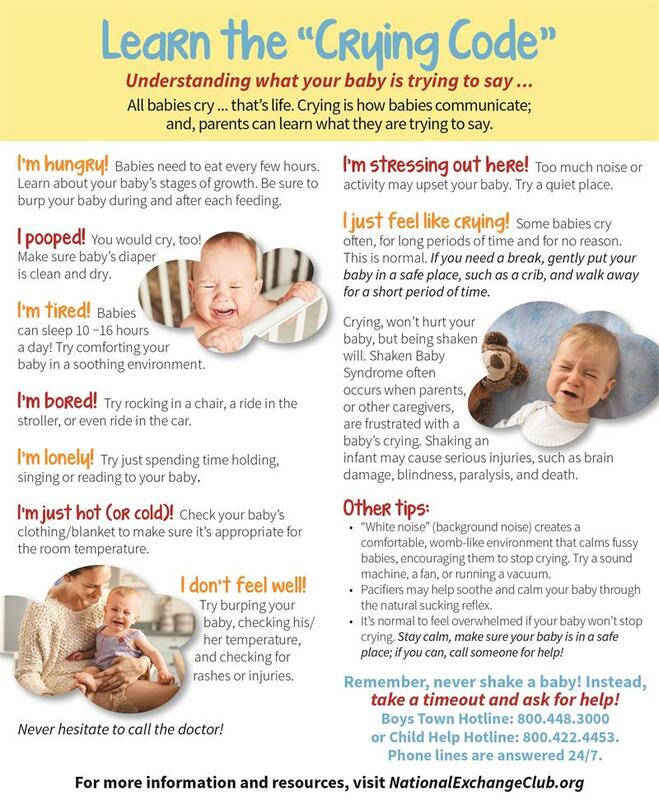 NEW DESIGN - replaces the Shaken Baby Syndrome Brochure. 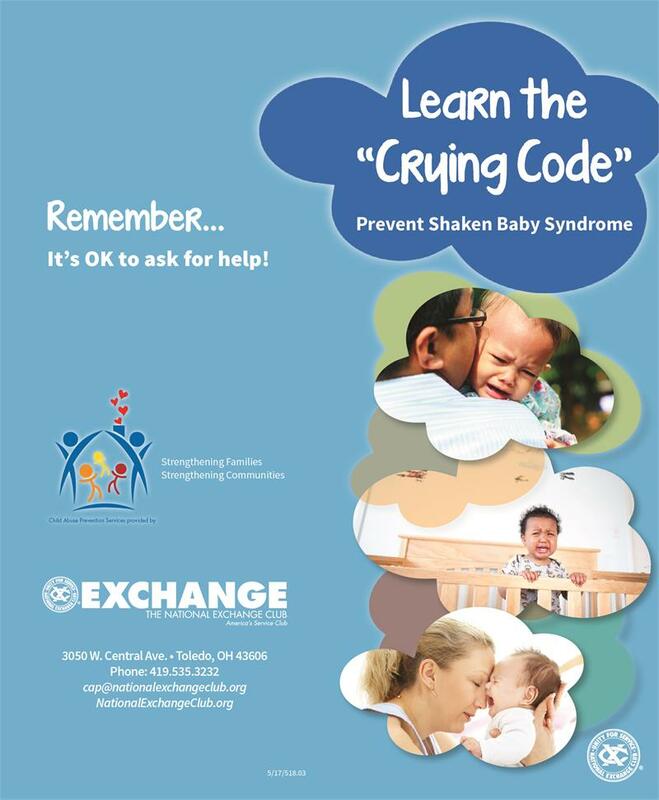 A new emphasis for the Shaken Baby Syndrome Campaign. 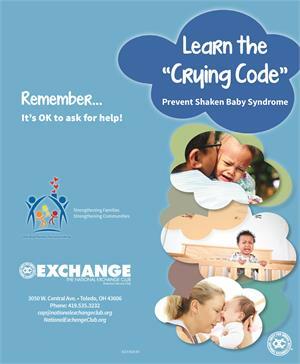 New Brochure talks about why babies cry, provides tips for parents to soothe their babies, and explains the dangers of shaking and Shaken Baby Syndrome. Preparation can help reduce frustrations, making parents less likely to shake or injure their babies. Currently available in English in packs of 100. 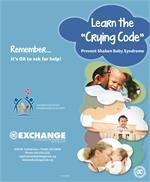 EXCHANGE PRIDE FACTt: Exchange Clubs across the country distributed 5300 Learn the Crying Code Brochures last year!